The P2NX has power settings at 25ws, 50ws, 100ws and 200ws to give photographers an awesome range between ambient light indoors and the higher flash power settings like the previous models of Lumedyne Packs. 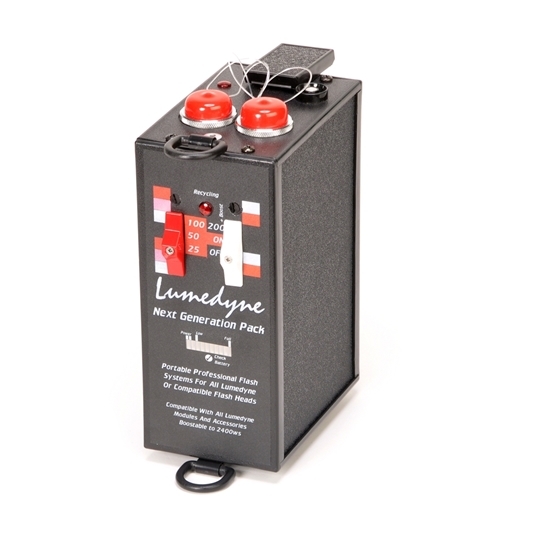 The P2NX Packs are fully compatible with all of the classic modules and Heads that Lumedyne has been producing for over 45 years. It has two Flash Head jacks and will divide the available power between them if you use both Heads at once. This Pack is a fast recycling power pack that also offers extra fast settings which consume the battery with less flashes per charge. The Pack is smaller and lighter than many others, so if you are carrying it around, you’ll appreciate the small size.